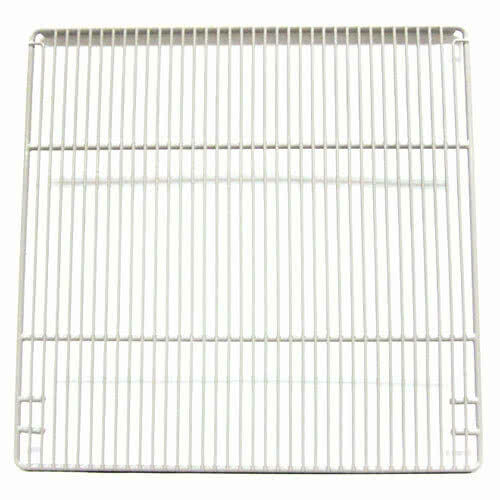 Turbo Air G2F0800100 Wire Shelf for Turbo Air M3R24 & M3F24, 24" x 23.5"
Wire Shelf for Turbo Air M3R24 & M3F24, 24" x 23.5"
The Turbo Air G2F0800100 wire shelf is designed to fit in the Turbo Air M3R24 refrigerator and M3F24 freezer. It can replace an old shelf or provide additional storage. The shelf's open-wire design promotes airflow that helps maintain proper holding temperatures throughout the cabinet. The steel is coated in polyethylene that helps protect it against damage and corrosion. 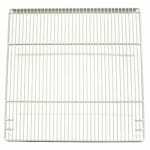 The Turbo Air G2F0800100 wire shelf measures 24 inches by 23.5 inches and is shipped with four shelf clips. Overall Dimensions: 24 in. x 23.5 in.